May 5 is "Wildfire Preparedness Day" in Colorado - a day when communities across the state come together to prepare for wildfires and take actions to reduce their wildfire risk. The proclamation, which dedicates a day to engage communities in focusing on activities that create awareness, education and action to reduce potential deaths and property losses through their preparedness efforts, coincides with the 2018 National Wildfire Community Preparedness Day. The National Wildfire Preparedness Day, which falls on the first Saturday in May each year, is organized by the National Fire Protection Association (NFPA) - an international nonprofit established in 1896 to reduce the worldwide burden of fire and other hazards on quality of life by providing resources that are adapted by many states, including Colorado. This year, Colorado had the second-highest number of communities receiving 2018 NFPA funding awards to implement Preparedness Day projects, with 18 of the 150 national awards coming to the state. Only California received more awards. The winners of the $500 project funding awards are listed on the NFPA site. 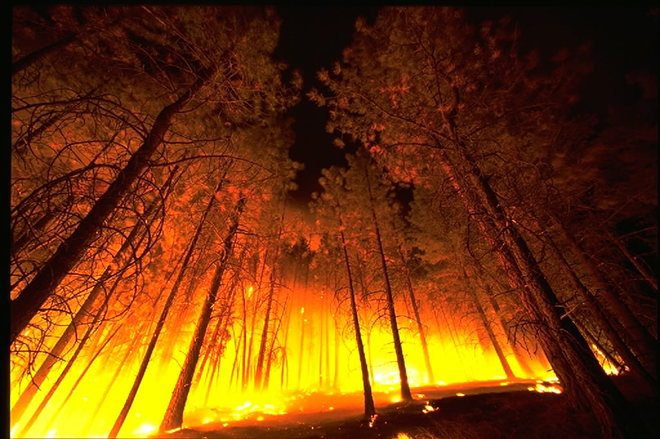 The Colorado State Forest Service (CSFS) works together with NFPA to implement the Firewise USA program in the state, and provides technical assistance and education to interested landowners, homeowners and communities to help them take action and ownership in preparing their homes against the threat of wildfire. Wildland fire management in Colorado is an interagency partnership among local, state and federal agencies across the nation. The Colorado Division of Fire Prevention and Control (DFPC) works with local, state and federal agencies to coordinate wildland fire management on a statewide basis. The ultimate goals of the agencies working together are resilient, fire-adapted Colorado communities and firefighter and public safety. Examples of Colorado's 2018 Wildfire Preparedness Day projects include: fuels mitigation efforts (including through the use of goats to consume flammable vegetation), neighbors working together to chip previously cut "slash" or tree limbs, removal of slash and flammable woody debris, wildfire safety education events and evacuation drills. Events are taking place this year in communities across the state, including near Denver, Boulder, Fort Collins, Colorado Springs, Grand Junction and Durango. The CSFS, DFPC, U.S. Forest Service and many local organizations will be assisting communities across the state with their Preparedness Day projects. For more information about National Wildfire Community Preparedness Day, visit www.wildfireprepday.org.